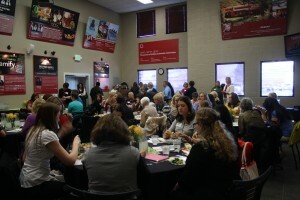 Women’s Business Network (WBN) is a part of the Utah Valley Chamber of Commerce designed to empower professional women by promoting business connections, encouraging diverse personal and professional networks, and providing development opportunities. As part of our commitment to this mission, the WBN funds a scholarship program open to women currently pursuing undergraduate business-related degree programs at a regionally accredited Utah County college or university. · Three $1,500 scholarships will be awarded during 2015-2016. · An additional scholarship will be awarded by the Daily Herald to a female student currently enrolled in an undergraduate STEM degree program (Science, Technology, Engineering and Math). 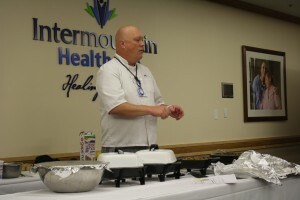 · Half of the awarded scholarship will be awarded fall semester, the other half will be awarded spring semester. · Recipients will be selected based on their successful completion of the application package and their demonstration of professionalism, educational achievements, and career goals. · Applicants must be women who are currently enrolled (fall semester) in a declared undergraduate business-related or STEM degree program at a regionally accredited Utah County college or university. · Scholarship recipients must be enrolled in school throughout the academic year of the scholarship award (fall and spring semesters). · Scholarship recipients will be expected to participate in monthly WBN luncheons held on the second Thursday of each month from 11:30 am to 1:00 pm throughout the academic year of the scholarship award (fall and spring semesters). · Scholarship recipients will be required to participate in community assignments and business leadership development opportunities throughout the academic year of the scholarship award (fall and spring semesters).